I have a little counter on my desktop. 33 days till Cycle Qld, it says. Cycle Qld (www.cycleqld.bq.org.au) is really what got us into cycle touring. It’s a nine day, 570km or so cycle tour somewhere in Qld with 1000 other friends. It’s run by Bicycle Qld, a QLD community and advocacy association. 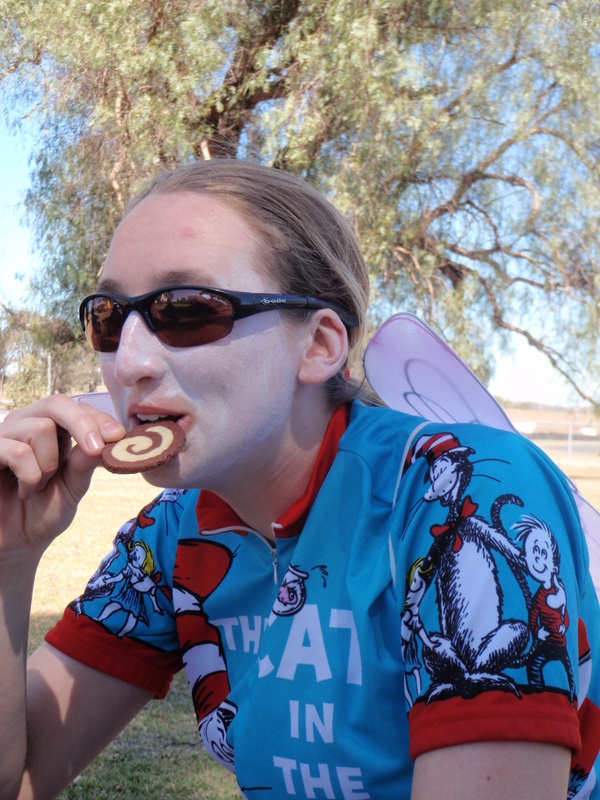 This year, we’re pedalling from Goondiwindi (a small town west of Brisbane) to Brisbane. Last year, we rode from Yeppoon (mid Qld Coast) down to Bundaberg (where they make the rum). The year before? 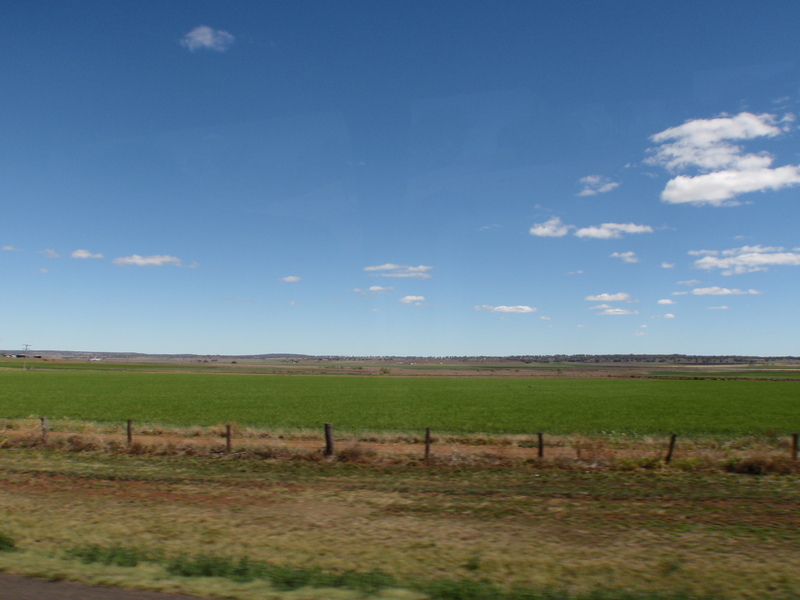 We rode the Darling Downs. Wherever we ride, it’s always a fantastic trip. Imagine a cycle tour, with first aid, mechanics, masseurs, flushing, non-stinky toilets and hot showers. Imagine a cycle tour where if you like, you can travel as if you are going for a day ride, as they transport your luggage for you. Imagine a cycle tour where you have 3 meals catered a day, plus ample opportunities to buy snacks. Well, that’s CQ. Every day, after a breakfast, you pack up your tent, and load it onto the luggage truck. From there, you roll out on your journey for the day, in a premapped, signposted route, that is generally on reasonably good road (this is Australia), and quiet traffic. Marshalls are stationed at intersections so you don’t get lost and at really busy intersections, police direct traffic, however with 1000 other people, critical mass is certainly achieved. 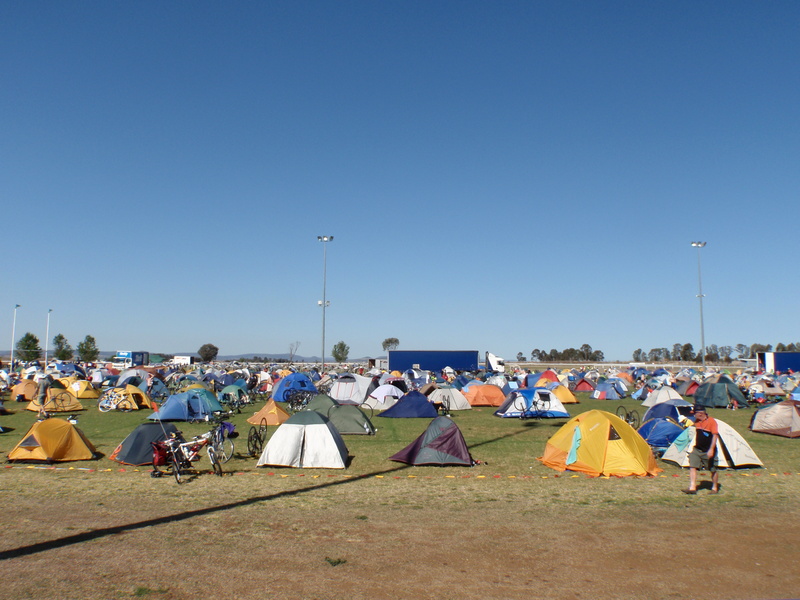 You generally ride about 20kms to the first rest stop, where they have trucked in toilets and water. In addition to this, little community groups sell tasty treats to raise funds for their cause. Imagine buying a chocolate slice and being able to support the local school or fire service. From there, it’s about 20kms to lunch, which again they’ve trucked in on refrigerated trucks. Depending on the length of the route that day, you might get another rest stop, or it’s straight on to the campsite. Along the way, you can stop at local tourist attractions, and even the odd pub. If motivation is required, there are often people (either locals, or volunteers) cheering you up the hills, dinging cowbells and blowing bubbles. The route closes at 4.30, and there’s even a SAG wagon, if you don’t make it. Once in camp (usually the local showgrounds, as it’s the only place big enough to hold us all), you collect your luggage of the truck, and set up your tent. You’d generally explore town – and as CQ is often the biggest thing that’s rolled in that year, they often put on a show, before heading back for dinner. At dinner, there’s a newsletter about the day’s ride, plus briefing you about the next day’s ride – bits of bad road, heavy traffic or where the best swimming holes are along the way. This is accompanied by a rider briefing. After dinner, a local band plays, as well as movies, games or the occasional bush dance or treasure hunt. Everyone turns in pretty early, in order to do it all over again tomorrow! The people are fantastic. There are a stackload of volunteers that marshall, organise logistics, cook, massage, provide first aid, and they make it amazing. I’ve never talked to a grumpy person there. The variety of the people that are there. We get sick of riding in lycra crews sometimes. CQ has a huge variety of people. 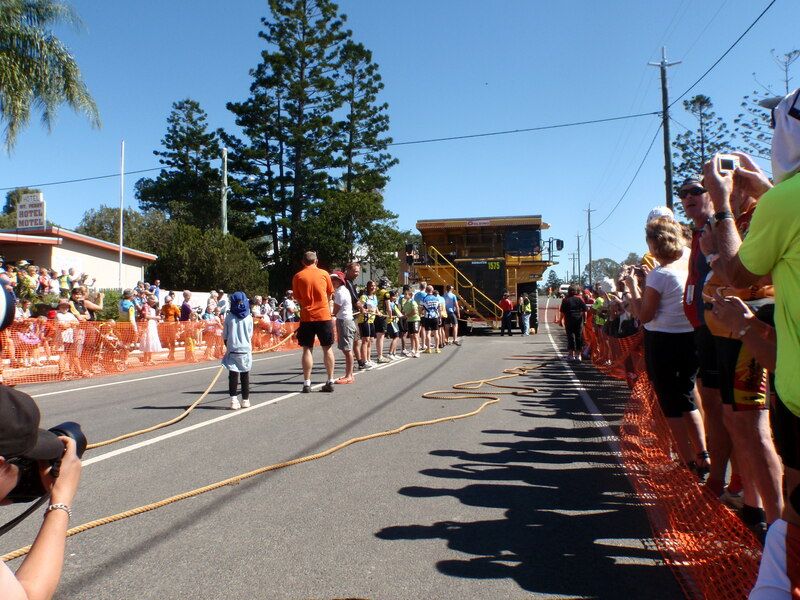 Everyone from the lycra crew, to grandparents towing grandchildren in chariots, and everything in between. Bikes range from carbon Pinarellos to Kmart specials. All the planning and organisation is done. Your sole job each day is to get yourself from one campsite to the next. And if you can’t cause of a mechanical or legs breakdown? Someone (a SAG wagon, bike mechanic or first aid), will pick you up and get you going again. Did I mention the food was fantastic? If you like people, like talking to people, and like making new friends. If you have never ridden more than 20 kms, and want a challenge, or if you want to know if you can do it in a different way (we rode one year with panniers and all our stuff in it, to find out if we’d like riding with laden bikes), or if you just want a fun time out, with like minded people, you should come! You need to like people! You are living in a tent city with 1000 varied people. If you are a grumpster, or a loner, you may not have all that much fun. This entry was posted in Cycle Qld and tagged Bicycle Qld, Cycle Qld, Events, Qld cycling, Touring by On two wheels. Bookmark the permalink.